Back in 1982 I was invited to an Honorary Degree Ceremony at the University of London’s Senate House. HRH Princess Anne was there to bestow the honours; among the recipients was Peter Parker, at that time Chairman of British Railways. Why am I telling you this? Because there was a military band present at the reception playing light classics to accompany our glasses of champagne and the song they played that most sticks in my mind as being a brilliant choice for such an occasion, was a wonderful oom-pah version of “A Spoonful of Sugar”. 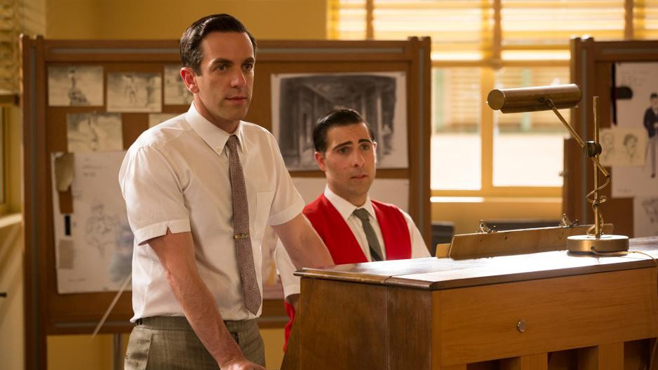 One of the things I really enjoyed about Saving Mr Banks was the opportunity to get a little more insight into Robert and Richard Sherman, who wrote the music for not only Mary Poppins, but also, inter alia, The Jungle Book, The Happiest Millionaire, and Chitty Chitty Bang Bang – four of the most entertaining film music scores you could imagine. Actually I found it impossible to keep my feet and legs from twitching musically as the film showed some of the songs being put through their paces in the Disney studios’ rehearsal room; sorry to those seated around me. But just to put on record; how much cheer and happiness has been spread around the world due to the Sherman brothers’ partnership – thanks for everything you wrote. 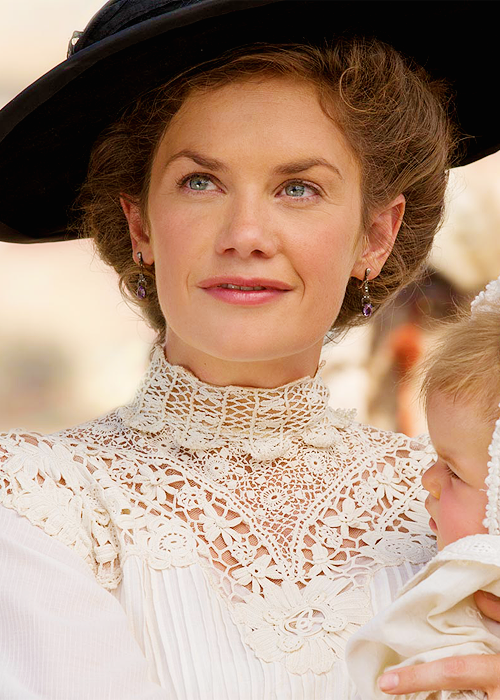 Back to the matter in hand: Saving Mr Banks is a delightful, thoughtful, and emotional film that takes the experiences of Mrs P. L. Travers as she visits Los Angeles to discuss and collaborate with the Disney creative team who hope to get Mary Poppins on celluloid; and contrasts those experiences with her own childhood in Allora, Queensland (which I think counts as back of Bourke) and her close relationship with her father. 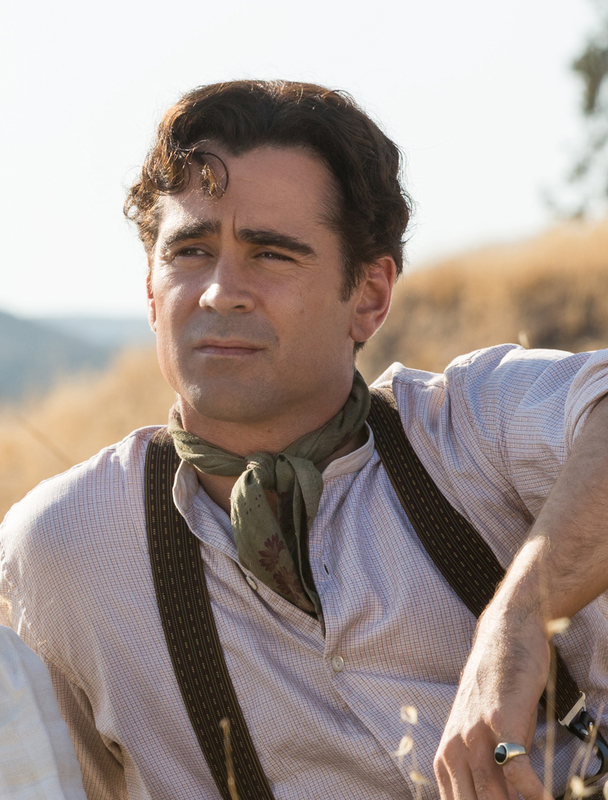 It could have been just a standard biopic – there’s a lot of humour to be drawn from the prickly Pam Travers resisting the perceived tastelessness of the Disney machine – but by delving deeper into her emotions and unfinished family issues you get a greater understanding of her priorities and motivations. As soon as you see her pelting pears into the Beverly Hills Hotel swimming pool, you know that there’s something not quite right going on. 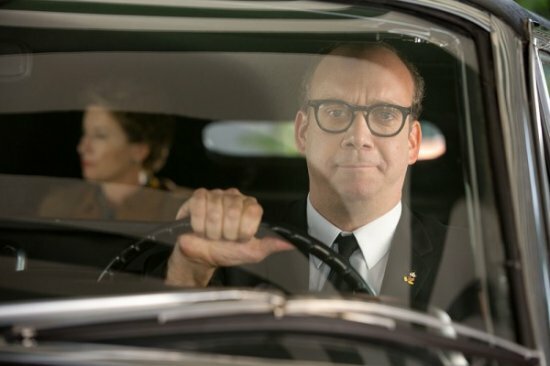 She equates the character of Mr Banks with her father; loving, but stuck in a starchy job that makes him absent and prone to irascibility. We also meet her Aunt Ellie, who suddenly appears at the house to help her mother with the chores whilst the father is languishing in his sickbed. She has a black coat, a carpetbag and an umbrella with a bird’s head as a finial. Yes, it’s the real Mary Poppins. 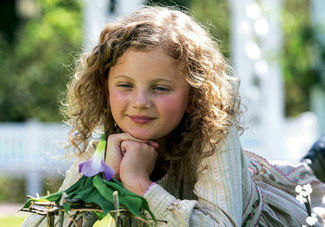 In Allora, the young P. L. (or Ginty as she was known then) witnesses the slow decline of her father’s health, caused or at least exacerbated by his dependence on alcohol. She sees him lose control at work in the bank and get fired (subsequently to get reinstated by his begrudging boss); she sees him passionately advocating bank accounts for children as a way of introducing them to a mature way of life; she sees him fall off the stage at a fair where he is awarding the prizes; and she sees the devastating effect of his alcoholism on her mother. The scene where her mother has finally come to the end of her tether and walks out on Ginty really had me watery round the eyeballs, soft old thing that I am. Hence the older P. L. prefers to take tea rather than alcohol in bars, has an aversion to that particular fruit, prefers children to be treated as adults and has the need to protect the reputation of Mr Banks as not a monster but as a kind man who likes to play. It takes the Sherman Brothers’ “Let’s Go Fly a Kite” to turn P. L. around and give at least some form of consent to the film being made, as it finally affirms to her all the good qualities she remembers of her father. Mind you, P. L. (don’t call me Pamela) isn’t the only one to have issues. Although it’s never directly stated, you definitely get the feeling that Uncle Walt also wants Mr Banks to represent Disney-the-man in some way. P. L. doesn’t want him to have moustaches – flashback to a conversation Ginty has with her clean shaven father; whereas Walt insists on the moustaches, proudly massaging his own set back into place. 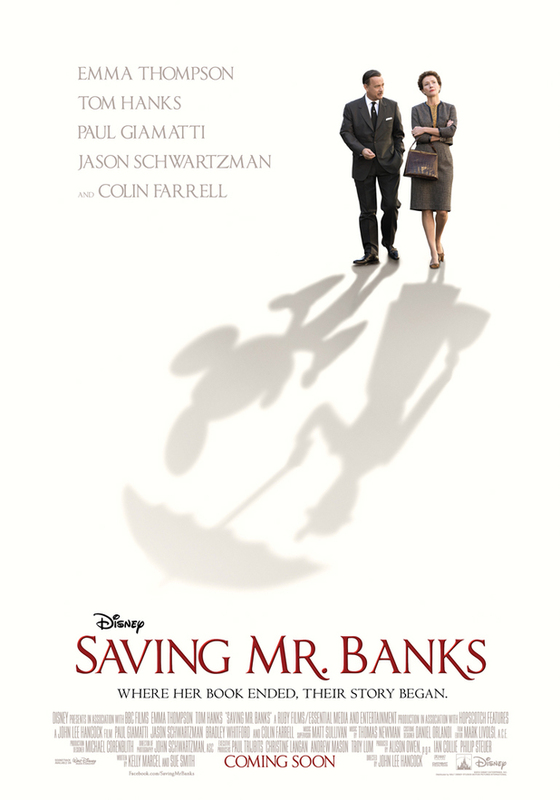 Moustaches win – and David Tomlinson gets to play the iconic Mr Banks. The chief strength of the film is in the development of the characters – not only the way P. L. comes out of her shell and starts coming to terms with her past, but also how Walt also learns how not everybody responds to Disneyfication in the same way. 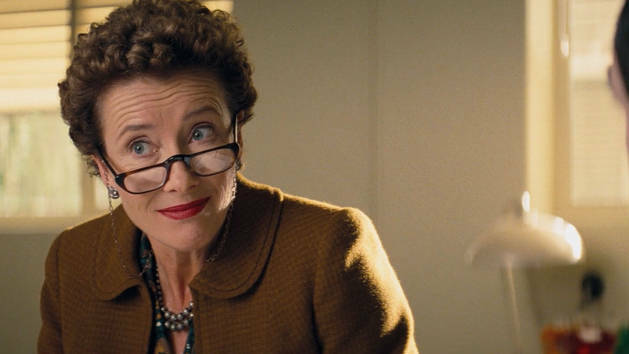 At the heart of the film is a stunning performance by Emma Thompson as P. L. Travers. She absolutely conveys the tight-lipped disdain of anything American and open-hearted, and bitterness of someone who can’t quite allow others to enjoy themselves; and it’s consequently beautiful when she finally lifts some of her own veils, playing in the grass with her driver Ralph (very thoughtfully and kindly played by Paul Giamatti) and even adding a drop of whisky to her tea. It’s a really convincing and masterful performance. 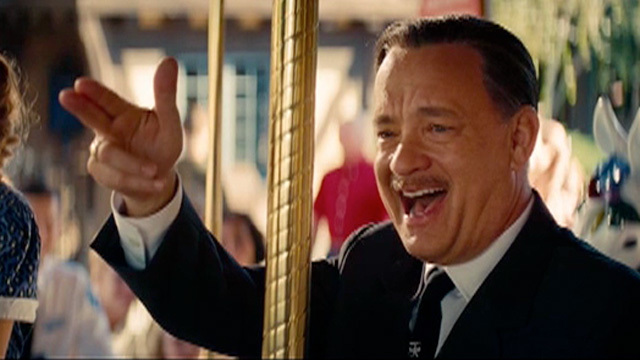 Tom Hanks is exactly how I would imagine Walt Disney to be on a good day, when he’s trying to get what he wants by being nice – totally convincing. He even managed to make the only really sloppy/sentimental speech in the entire film (when Walt is delivering his final syrupy salvo to make P. L. see sense) sound bearable. This is a really affecting and thoughtful film. If you like Mary Poppins then you will find this a fascinating background accompaniment to an old favourite. Even if you don’t, it’s still a great insight into how a creative writer can look upon their fictitious creations as part of the family, to be protected at all costs. And Emma Thompson’s performance is one of the best I’ve seen for years. Terrific!